The 14th, 15th, and 16th centuries saw a spiritual revival in Europe, in which the question of salvation became central. This became known as the Catholic Reformation. Several theologians harkened back to the early days of Christianity and questioned their spirituality. Their debates expanded across most of the Western Europe in the 15th and 16th centuries, whilst secular critics also examined religious practice, clerical behavior and the church's doctrinal positions. Several varied currents of thought were active, but the ideas of reform and renewal were led by the clergy. In Italy, the first congregation of regular clergy was the Theatines founded in 1524 by Gaetano and Cardinal Gian Caraffa. This was followed by the Somaschi Fathers in 1528, the Barnabites in 1530, the Ursulines in 1535, the Jesuits, canonically recognised in 1540, the Clerics Regular of the Mother of God of Lucca in 1583, the Camillians in 1584, the Adorno Fathers in 1588, and finally the Piarists in 1621. In 1524, a number of priests in Rome began to live in a community centred on Philip Neri. The Oratorians were given their institutions in 1564 and recognized as an order by the pope in 1575. They used music and singing to attract the faithful. Probably the most extreme move at reform came late in 1562 when, instructed by the legates, Egidio Foscarari (bishop of Modena) and Gabriele Paleotti (archbishop of Bologna) began work on reforming religious orders and their practices involving the liturgy. The reforms prescribed to the cloisters of nuns, which included omitting the use of an organ, prohibiting professional musicians, and banishing polyphonic singing, were much more strict than any of the council's edicts or even those to be found in the Palestrina legend. ^ a b Froom, LeRoy (1950). The Prophetic Faith of our Fathers (DjVu and PDF). 1. p. 24. The Protestant Reformation during the 16th century in Europe almost entirely rejected the existing tradition of Catholic art, and very often destroyed as much of it as it could reach. A new artistic tradition developed, producing far smaller quantities of art that followed Protestant agendas and diverged drastically from the southern European tradition and the humanist art produced during the High Renaissance. The Lutheran churches, as they developed, accepted a limited role for larger works of art in churches, and also encouraged prints and book illustrations. Calvinists remained steadfastly opposed to art in churches, and suspicious of small printed images of religious subjects, though generally fully accepting secular images in their homes. In turn, the Catholic Counter-Reformation both reacted against and responded to Protestant criticisms of art in Roman Catholicism to produce a more stringent style of Catholic art. Protestant religious art both embraced Protestant values and assisted in the proliferation of Protestantism, but the amount of religious art produced in Protestant countries was hugely reduced. Artists in Protestant countries diversified into secular forms of art like history painting, landscape painting, portrait painting and still life. Camillo Caetani (Gaetano) (Sermoneta (?) 1552 – Rome 6 August 1603) was an Italian aristocrat and Papal diplomat in several European capitals during the early Counterreformation. Counter-reformation in Poland refers to the response (Counter-Reformation) of Catholic Church in Poland (more precisely, the Kingdom of Poland until 1568, and thereafter the Polish-Lithuanian Commonwealth) to the spread of Protestantism in Poland (the Protestant Reformation). Counter-reformation in Poland lasted from the mid-16th century until the mid-18th century and ended with the victory of the Catholic Church, which succeeded in significantly reducing the influence of Protestantism in Poland. Crypto-Protestantism is an historical phenomenon that occurred on the territory of the Habsburg Empire and elsewhere in Europe and Latin America. It describes the attempt made after the Protestant Reformation to regain for Catholicism parts of the Empire that had become Protestant. The Protestants in the areas that were re-Catholicised by force strove to retain their own confession inwardly while they outwardly pretended to accept Catholicism. With the Patent of Toleration (1781) Protestantism was again permitted, and from that time on most Protestants could live their faith openly once more. Dillingen, or Dillingen an der Donau (Dillingen on the Danube) is a town in Swabia, Bavaria, Germany. It is the administrative center of the district of Dillingen. Besides the town of Dillingen proper, the municipality encompasses the villages of Donaualtheim, Fristingen, Hausen, Kicklingen, Schretzheim and Steinheim. Schretzheim is notable for its 6th to 7th century Alemannic cemetery, 630 row graves in an area of 100 by 140 metres. The counts of Dillingen ruled from the 10th to the 13th century; in 1258 the territory was turned over to the Prince Bishops of Augsburg. After the Reformation, the prince-bishops of Augsburg moved to the Catholic city of Dillingen and made it one of the centers of the Counter-Reformation. In 1800, during the War of the Second Coalition, the armies of the French First Republic, under command of Jean Victor Moreau, fought Habsburg regulars and Württemberg contingents, under the general command of Pál Kray. Kray had taken refuge in the fortress at Ulm; Moreau diverted his army to approach Ulm from the east and, after a small group of men captured a foothold on the northern bank of the Danube, his forces were able to move against the fortress on both sides of the river. At this battle, the culmination of the Danube Campaign of 1800, Moreau forced Kray to abandon Ulm and withdraw into eastern Bavaria.A university was established in 1549, but was closed by Napoleon in 1804. The philosophical and theological faculties still existed in the 20th century. In 1971, however, it became a part of the Bavarian Center for the Education and Training of Teachers and Personnel Management (Akademie für Lehrerfortbildung und Personalführung). One of the largest employers in the city is Bosch and Siemens Household Appliances, producer of household applicances. The House of Eltz is a noted German noble family of the Uradel. The Rhenish dynasty has had close ties to the Kingdom of Croatia-Slavonia since 1736. Fulda (German pronunciation: [ˈfʊlda]) (historically in English called Fuld) is a city in Hesse, Germany; it is located on the river Fulda and is the administrative seat of the Fulda district (Kreis). In 1990, the town hosted the 30th Hessentag state festival. Pope Sixtus V or Xystus V (13 December 1521 – 27 August 1590), born Felice Piergentile, was Pope of the Catholic Church from 24 April 1585 to his death in 1590. As a youth, he joined the Franciscan order, where he displayed talents as a scholar and preacher, and enjoyed the patronage of Pius V, who made him a cardinal. As Pope, he energetically rooted out corruption and lawlessness across Rome, and launched a far-sighted rebuilding programme that continues to provoke controversy, as it involved the destruction of antiquities. The cost of these works was met by heavy taxation that caused much suffering. His foreign policy was regarded as over-ambitious, and he excommunicated both Elizabeth I of England and Henry IV of France. He is recognized as a significant figure of the Counter-Reformation. Péter Pázmány, S.J. (also called de Panasz in some sources; Hungarian: panaszi Pázmány Péter, pronounced [ˈpɒnɒsi ˈpaːzmaːɲ ˈpeːtɛr]; Latin: Petrus Pazmanus; German: Peter Pazman; Slovak: Peter Pázmaň; 4 October 1570 – 19 March 1637), was a Hungarian Jesuit who was a noted philosopher, theologian, cardinal, pulpit orator and statesman. He was an important figure in the Counter-Reformation in Royal Hungary. Pázmány's most important legacy was his creation of the Hungarian literary language. As an orator he was dubbed "the Hungarian Cicero in the purple". In 1867, a street in Vienna, the Pazmanitengasse, was named after him. The Reformation (more fully the Protestant Reformation, or the European Reformation) was a movement within Western Christianity in 16th-century Europe that posed a religious and political challenge to the Roman Catholic church – and papal authority in particular. Although the Reformation is usually considered to have started with the publication of the Ninety-five Theses by Martin Luther in 1517, there was no schism between the Catholics and the nascent Lutheran branch until the 1521 Edict of Worms. The edict condemned Luther and officially banned citizens of the Holy Roman Empire from defending or propagating his ideas. The end of the Reformation era is disputed: it could be considered to end with the enactment of the confessions of faith which began the Age of Orthodoxy. Other suggested ending years relate to the Counter-Reformation, the Peace of Westphalia, or that it never ended since there are still Protestants today. Movements had been made towards a Reformation prior to Luther, so some Protestants in the tradition of the Radical Reformation prefer to credit the start of the Reformation to reformers such as Arnold of Brescia, Peter Waldo, Jan Hus, Tomáš Štítný ze Štítného, John Wycliffe, and Girolamo Savonarola. Due to the reform efforts of Hus and others in the Lands of the Bohemian Crown, Utraquist Hussitism was officially acknowledged by both the Pope and the Holy Roman Emperor, although other movements were still subject to persecution, as were the including Lollards in England and Waldensians in Italy and France. Luther began by criticising the sale of indulgences, insisting that the Pope had no authority over purgatory and that the Treasury of Merit had no foundation in the Bible. The Reformation developed further to include a distinction between Law and Gospel, a complete reliance on Scripture as the only source of proper doctrine (sola scriptura) and the belief that faith in Jesus is the only way to receive God's pardon for sin (sola fide) rather than good works. Although this is generally considered a Protestant belief, a similar formulation was taught by Molinist and Jansenist Catholics. The priesthood of all believers downplayed the need for saints or priests to serve as mediators, and mandatory clerical celibacy was ended. Simul justus et peccator implied that although people could improve, no one could become good enough to earn forgiveness from God. Sacramental theology was simplified and attempts at imposing Aristotelian epistemology were resisted. Luther and his followers did not see these theological developments as changes. The 1530 Augsburg Confession concluded that "in doctrine and ceremonies nothing has been received on our part against Scripture or the Church Catholic", and even after the Council of Trent, Martin Chemnitz published the 1565–73 Examination of the Council of Trent in order to prove that Trent innovated on doctrine while the Lutherans were following in the footsteps of the Church Fathers and Apostles.The initial movement in Germany diversified, and other reformers arose independently of Luther such as Zwingli in Zürich and Calvin in Geneva. Depending on the country, the Reformation had varying causes and different backgrounds, and also unfolded differently than in Germany. The spread of Gutenberg's printing press provided the means for the rapid dissemination of religious materials in the vernacular. During Reformation-era confessionalization, Western Christianity adopted different confessions (Catholic, Lutheran, Reformed, Anglican, Anabaptist, Unitarian, etc.). Radical Reformers, besides forming communities outside state sanction, sometimes employed more extreme doctrinal change, such as the rejection of the tenets of the councils of Nicaea and Chalcedon with the Unitarians of Transylvania. Anabaptist movements were especially persecuted following the German Peasants' War. Leaders within the Roman Catholic Church responded with the Counter-Reformation, initiated by the Confutatio Augustana in 1530, the Council of Trent in 1545, the Jesuits in 1540, the Defensio Tridentinæ fidei in 1578, and also a series of wars and expulsions of Protestants that continued until the 19th century. Northern Europe, with the exception of most of Ireland, came under the influence of Protestantism. 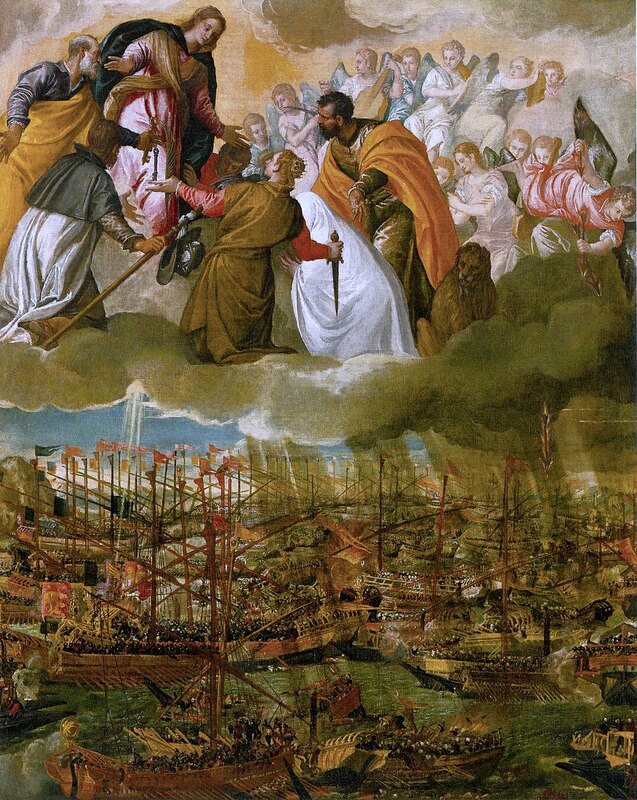 Southern Europe remained predominantly Catholic apart from the much-persecuted Waldensians. Central Europe was the site of much of the Thirty Years' War and there were continued expulsions of Protestants in central Europe up to the 19th century. Following World War II, the removal of ethnic Germans to either East Germany or Siberia reduced Protestantism in the Warsaw Pact countries, although some remain today. Absence of Protestants however, does not necessarily imply a failure of the Reformation. Although Protestants were excommunicated and ended up worshipping in communions separate from Catholics contrary to the original intention of the Reformers, they were also suppressed and persecuted in most of Europe at one point. As a result, some of them lived as crypto-Protestants, also called Nicodemites, contrary to the urging of John Calvin who wanted them to live their faith openly. Some crypto-Protestants have been identified as late as the 19th century after immigrating to Latin America. As a result Reformation impulses continued to affect the Latin Church well past the end of what is usually considered the Reformation era. The Spiritual Canticle (Spanish: Cántico Espiritual), is one of the poetic works of the Spanish mystical poet St. John of the Cross. St. John of the Cross, a Carmelite friar and priest during the Counter-Reformation was arrested and jailed by the Calced Carmelites in 1577 at the Carmelite Monastery of Toledo because of his close association with Saint Teresa of Avila in the Discalced Carmelite reforms. He remained imprisoned for nine months in a cell, in bad conditions that caused him much suffering. He memorized, in the absence of the means to write them down, a thirty-one-stanza version of the Canticle. Some years later, after 1582, he wrote down the last stanzas in Baeza and Granada, the last five ones after a conversation with a nun, sister Francisca de la Madre de Dios. Ana de Jesús asked him to write a comment to his poem, which he did in 1584. It was just Ana de Jesús who after being expelled from Spain took the poem with her, and finally it was published in Paris 1622, but in a French translation from Spanish (having not been published in the first Spanish collection of John's works of 1618). In 1627, it was published in the original Spanish in Brussels, and in the same year was published in Italian, at Rome. In Spain, the poem was first published in the Madrid edition of John's works of 1630.